Baptism is the sacrament in which we are reborn and welcomed into God's family – the church. We believe that in Baptism, God plants his Holy Spirit in the human heart and adopts us as His children. We do baptize infants, as did the early Church, and charge parents and Godparents and other family members with responsibility for their spiritual development. 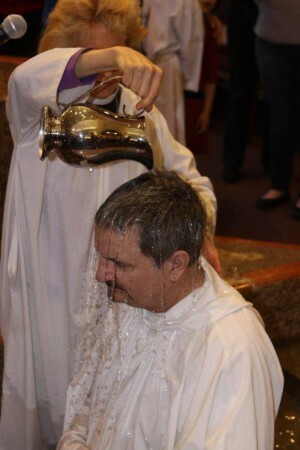 The Episcopal Church accepts any Christian Baptism with water in the name of the Trinity (Father, Son and Holy Spirit). If you are transferring from another Christian church, you won’t need to be re-baptized. 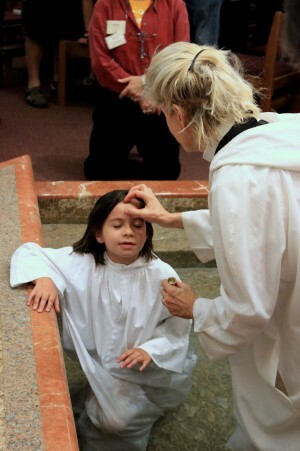 Pastor Ann offers a three part Baptism class for children or adults who would like to be Baptized. Click here for a Video on Recent St. Nicks' Baptisms.